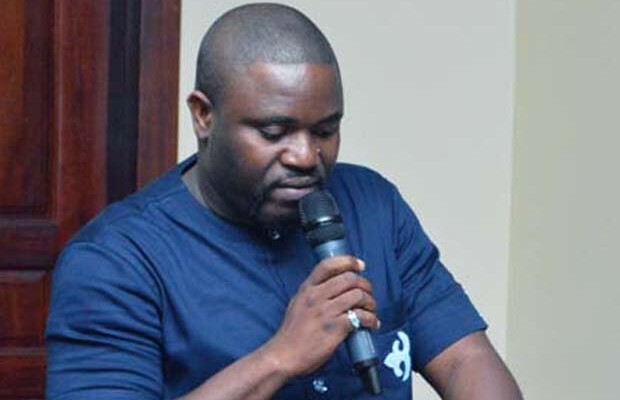 Nana Yaw Osei-Darkwa, founding president of Youth Icons Ghana and a non-violence activist, says the ongoing debate over the two Guantanamo Bay detainees who are being held in Ghana should be limited strictly to security and not religion. According to him, the religious twist to the debate by various stakeholders and political commentators is a threat to the peace and stability of the country. The John Mahama-led administration recently brokered a deal with the Obama administration to house two ex-detainees from the dreaded Guantanamo Bay military facility for a period of two years. Three major Christian groups — the Ghana Catholic Bishops’ Conference (GCGC), the Christian Council of Ghana (CCG) and the Ghana Pentecostal and Charismatic Council (GPCC)—and other civil society groups have called on government to return the ex-convicts to where they came from. Mr Osei-Darkwa stated that government needed to appreciate the various concerns raised by Ghanaians about the two suspected Al-Qaeda detainees who were being held in the country. He said it was legitimate for citizens to express fear over the two detainees due to the terrorism link. Mr Osei-Darkwa mentioned that religious leaders should stay away from making further public comments on the debate and resort to closed-door consultations so that their comments wouldn’t be twisted or misconstrued to heighten tension between religious groups. “Why should we try to set ourselves against each other because we accepted two strangers into our fold? Government commentators must appreciate the apprehension of Ghanaians and find very creative ways of helping to address the legitimate fears of the people of Ghana because the word terrorism anywhere in the world sparks fear. Happenings in Nigeria, France, Kenya, USA, among several other nations of the world in 2015 with regard to terrorists’ attacks serve as a legitimate basis for the fear of the citizens,” he said. He charged all political leaders and their communicators to exercise the highest sense of responsibility in their pronouncements because the country is too tensed for reckless and irresponsible comments. “I am very worried about the way things are going regarding the introduction of a dangerous twist of religion to the debate. I am particularly worried because the discussions as far as I am concerned must be restricted purely within the remit of security and nothing else,” Mr Osei-Darkwa noted. Nana Osei-Darkwa disclosed that Ghana is a beautiful country where people of different faiths, tribes, traditions and cultures have co-existed for decades to the admiration of the world. “We must not let the debate over two Guantanamo detainees lead to the dangerous abyss of setting one religion against the other. Do you know that in other jurisdictions a Christian can not enter the mosque let alone visit the National Chief Imam? I am a staunch and avowed Christian but have on countless occasions had one-on-one discussions with the National Chief Imam who is a great man with a warm heart of compassion who accepts all,” he noted. He also advised the media to be very circumspect in their reportage on the issue.